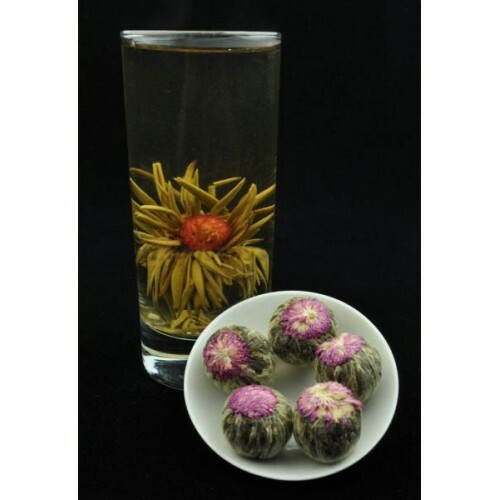 Home » Blooming tea » Blooming tea "Amaranth Star"
Each tea ball weighs about 7.5 grams. 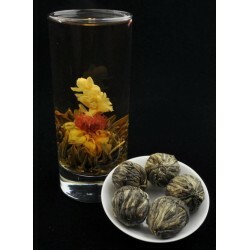 Blooming tea "Amaranth Star" - hand-rolled flowering tea collected from autumn 2012 in Fujian tea and flowers. We recommend brewing at 90 ⁰ C in good glass teapot or cup. For best results, wait a few minutes and watch as he slowly blooms! This tea can be brewed several times. Each of the infusions changing taste! 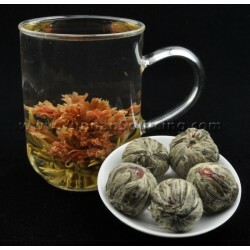 Blooming tea "Sunset of carnations"